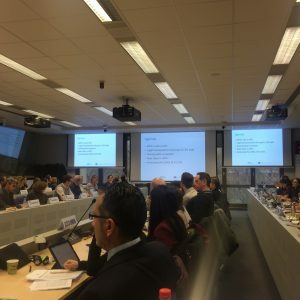 The Interim Meeting of the Joint Action on Tobacco Control (JATC) took place on February 6-7, 2019 in Brussels, with the presence of members of the Subgroup on Ingredients and Composition of Tobacco and Related Products. 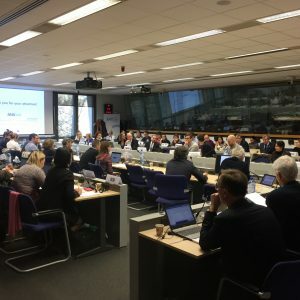 More than 60 JATC participants from all over Europe had the chance to meet in person in the DG SANTE headquarters and discuss thoroughly about the progress and plan future actions of the project. Mrs Thea Emmerling, Head of the Cross-border Healthcare and Tobacco Control Unit and other officers of the DG SANTE and CHAFEA honored the meeting with their attendance, reflecting the importance of the project. To facilitate interaction between JATC partners and the members of the Expert Subgroup on Ingredients. Mr Vytenis Andriukaitis, EU Commissioner for Health and Food Safety, participated at the opening session. 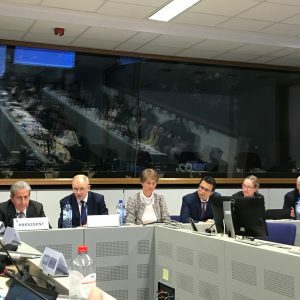 In his speach, among other, he stressed importance of the JATC, better application of EU law and importance of implementions of new measures concerning product composition that were introduced by the Directive. Find below the speech of the Commissioner.